If it’s true that Theodore Sturgeon “suffered from writer’s block for many years at a time,” as Eric Weeks and Bill Seabrook tell us on the Theodore Sturgeon Page, then all I can say is, when Sturgeon was on, he was prodigiously ON. I’ve written elsewhere about a book called I, Libertine, which Sturgeon authored as a prank, in collaboration with Jean Shepherd and Ian Ballantine, under the pseudonym Frederick R. Ewing. That he could knock off a novel on a whim is fairly impressive, but that’s nothing compared to what I learned recently. Theodore Sturgeon ghost-wrote one of the best Ellery Queen novels, The Player On the Other Side (Random House, 1963). This got my attention. I’m halfway through Player and it really is a good read in the style of the golden-age detective fiction. Most of the Ellery Queen books were written by two cousins, Daniel Nathan and Manford (Emanuel) Lepofsky. 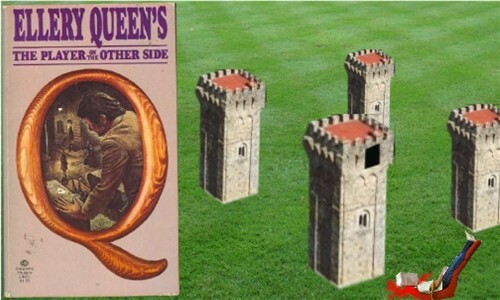 Together, they wrote under the pseudonym “Ellery Queen” and they also named their fictional detective Ellery Queen.